The Eida Chareidis announces only those places listed in the announcement below are under its supervision in northern Israel. 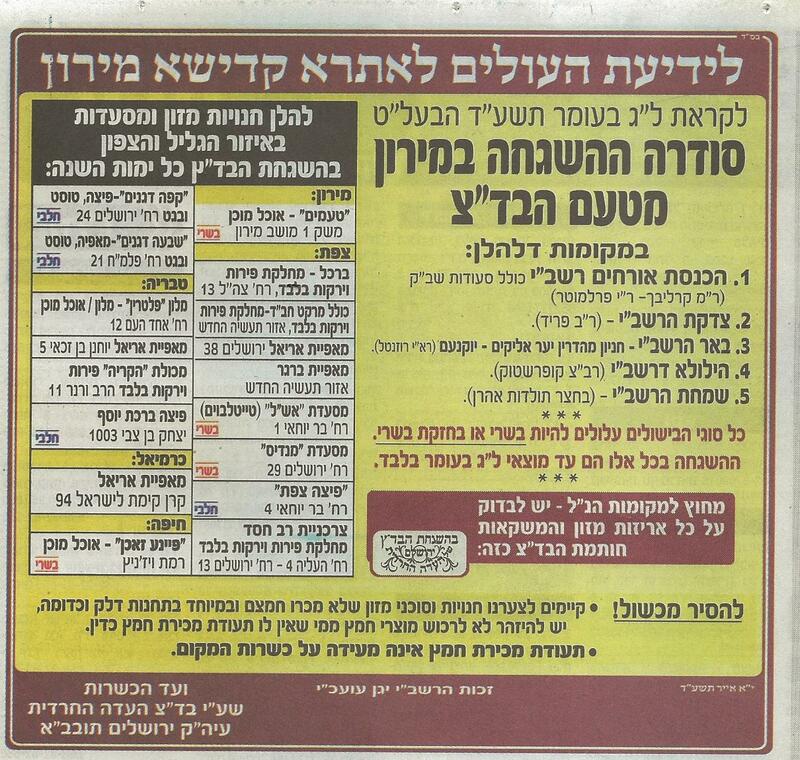 The announcement is released ahead of the anticipated large number of visitors who will be heading to Meron to the Kever Rashbi for Lag B’Omer. Posted on May 14, 2014 by JKN Israel. This entry was posted in General Interest. Bookmark the permalink.